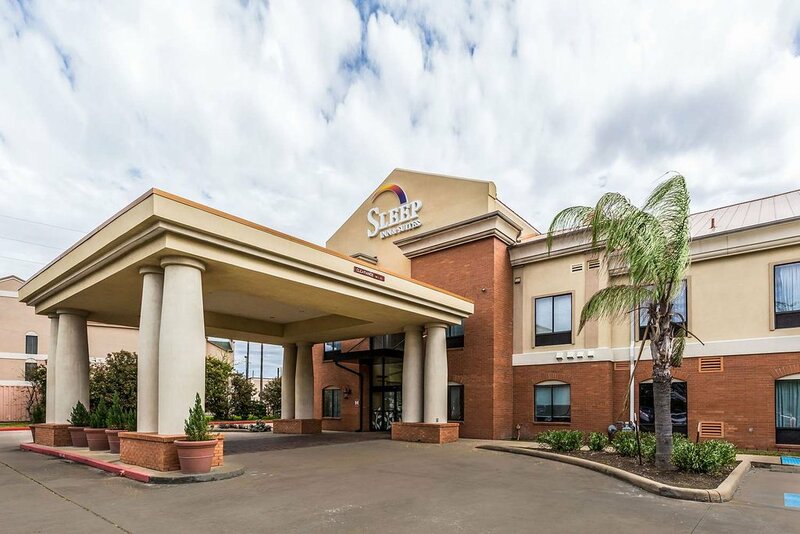 Sleep Inn & Suites Stafford - Sugar Land Make your day hotel stay enjoyable and comfortable by booking your day stay at Sleep Inn & Suites Stafford - Sugar Land. 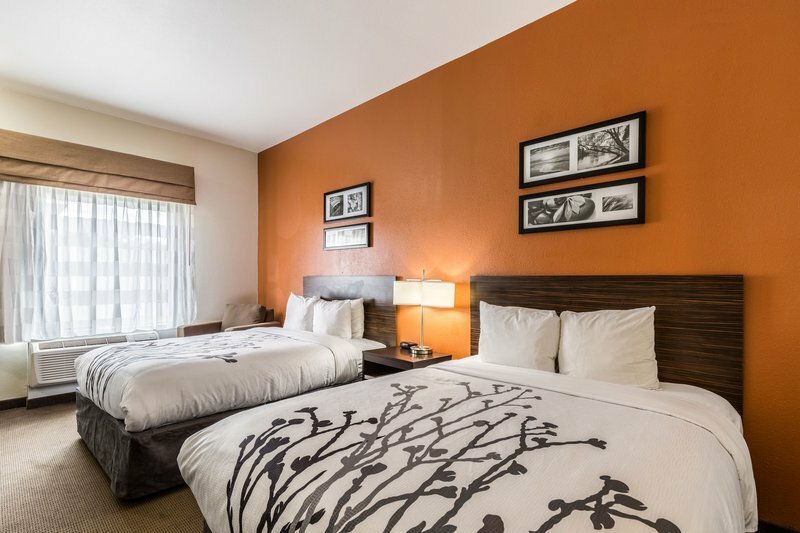 The amazing mix of friendly service, cozy rooms, and awesome amenities make Sleep Inn & Suites Stafford a flawless day stay hotel. 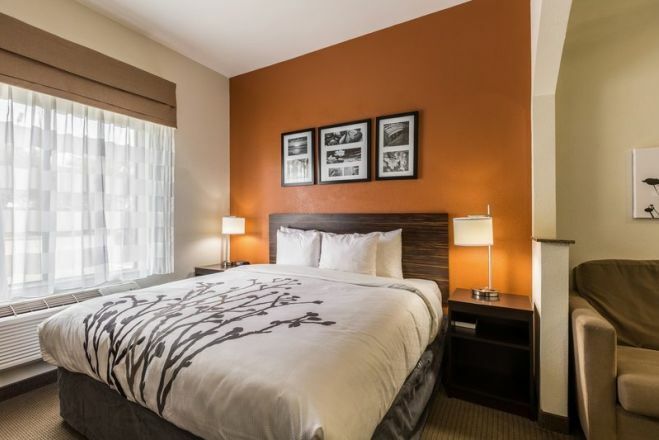 You'll find a microwave, coffee maker, refrigerator, hair dryer, iron, ironing board, and a TV in your room, so you can start your day booking with a big smile on your face. 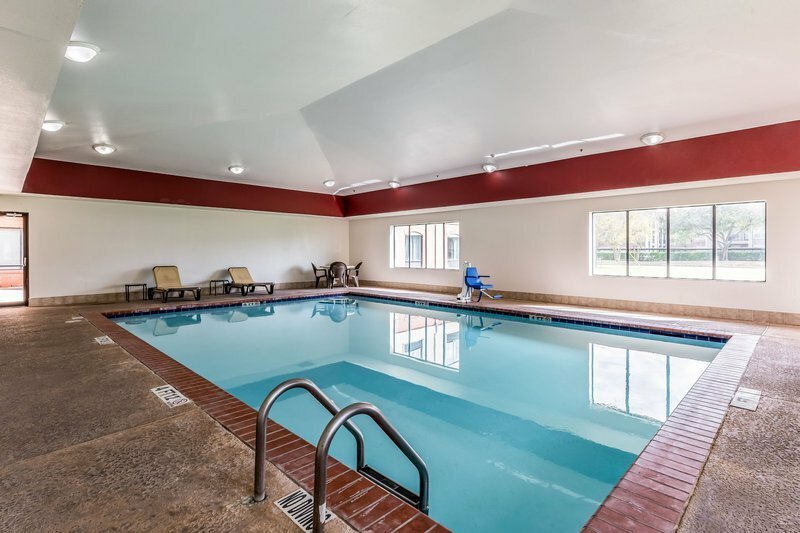 Relaxation is an important part of your schedule, thus the indoor pool will offer you the perfect chance to instantly de-stress and feel happy. Not a single workout will be missed, as the fitness center you'll find in this dayuse hotel is the ideal place to stay in shape. The business center with print, copy, and fax machines will help you keep up with your work and deliver all the tasks on time. Book your day use hotel room at Sleep Inn & Suites Stafford and feel like home while you're on the go! 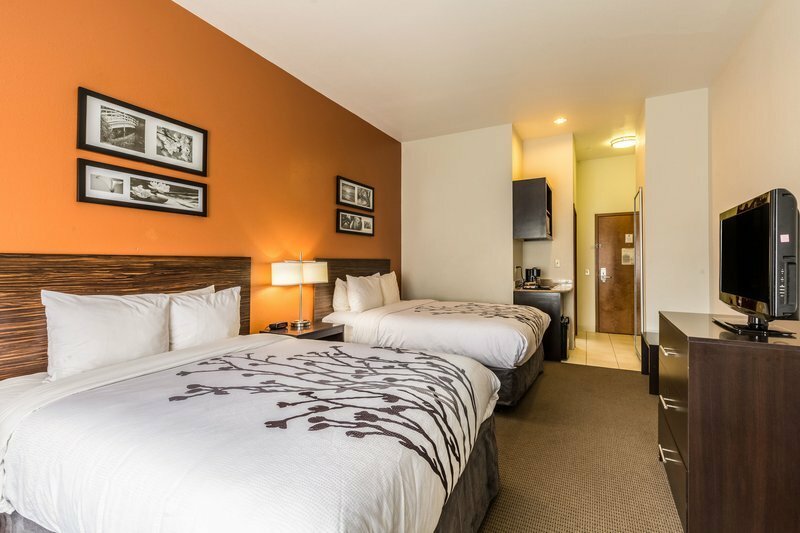 The Sleep Inn & Suites is an amazing day booking hotel conveniently located close to the Stafford Centre. There are a bunch of things to see and unwinding activities to try out around this lovely place. Sam Houston Race Park: There's hardly a better way of combining elegance and adventure than checking out a famous race park! This horse racing track creates the perfect ambiance for an outstanding experience that will keep your mind out of the daily routine. You can either watch a thrilling horse race or enjoy a daily simulcasting with free admission. Make the best of your daycation admiring a beautiful display of grace and power. Harwin Drive Shopping District: Shop with no stop! At Harwin Drive Shopping District, you can go for an amazing, all-inclusive shopping session, or simply walk or drive around the place while checking out the wide variety of stores. Far away from all the stress, you'll feel refreshed and ready to face new, exciting challenges! Houston Museum District: Choose among an abundance of great museums, galleries, cultural centers and community organizations focusing on art, science, history, and culture. Whatever soothes your soul, you'll definitely find it here. Not to mention the charming, tree-lined streets and several restaurant options.